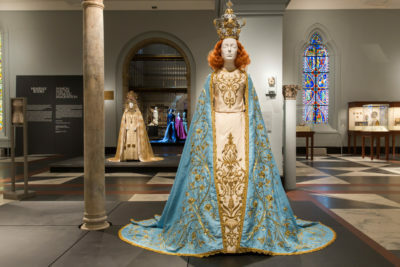 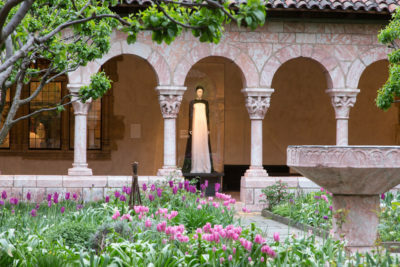 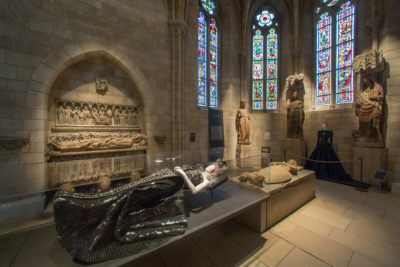 The Metropolitan Museum of Art Costume Institute’s Spring 2018 exhibition, Heavenly Bodies: Fashion and the Catholic Imagination, has been described as “a dialogue between fashion and medieval art from The Met collection to examine fashion’s ongoing engagement with the devotional practices and traditions of Catholicism.” Among the artifacts on display are dozens of pieces, including papal robes and jewels, never before seen outside the Sistine Chapel Sacristy. 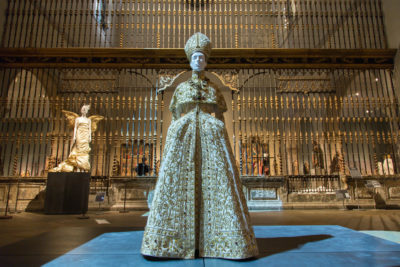 The papal objects are juxtaposed alongside baroque-style dresses from leading fashion houses—among them Dolce and Gabbana, Versace, and Dior—to demonstrate the longstanding influence of liturgical vestments on international designers. 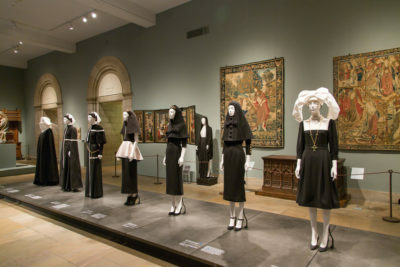 While fascination with Catholic dress is not new, the exhibit raises many questions about the Vatican’s involvement in light of histories of American anti-Catholicism and philo-Catholicism. 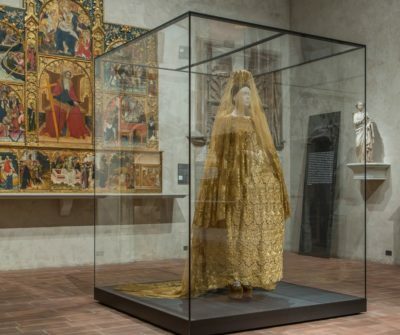 And as this exhibit came in the midst of what Robert Orsi in his introduction to the forum describes as “the worst crisis in the history of modern Catholicism,” issues of sexuality, aesthetics, and power are brought into view. 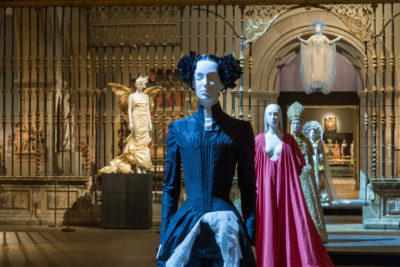 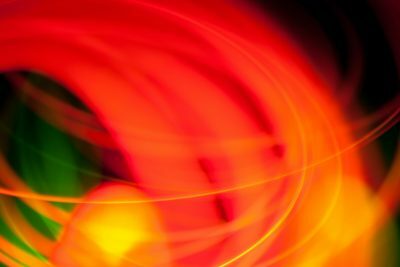 In the essays that follow, contributors write on these and many other aspects of the exhibit, including its curation, content, and reception from interdisciplinary research standpoints. 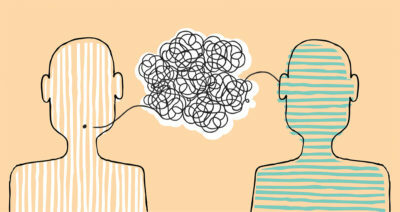 Robert Orsi, Northwestern University, and Mona Oraby, TIF managing editor and Amherst College, co-curated this forum. 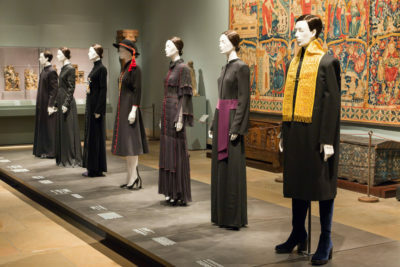 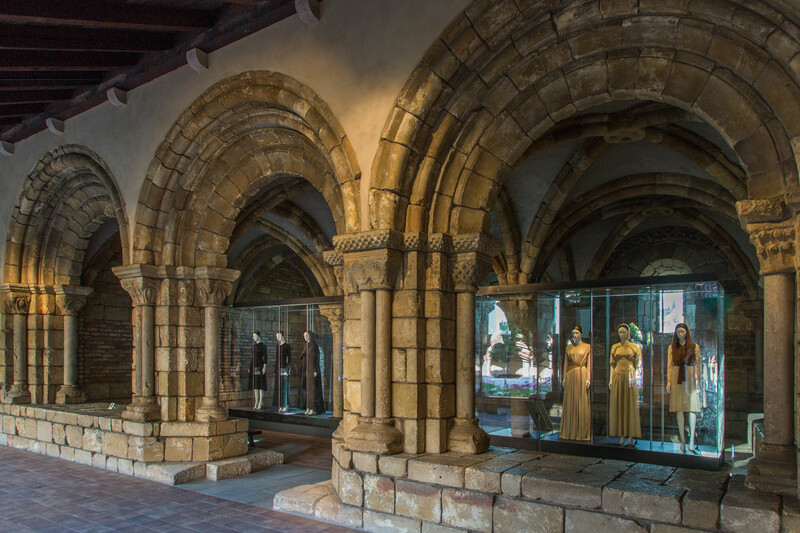 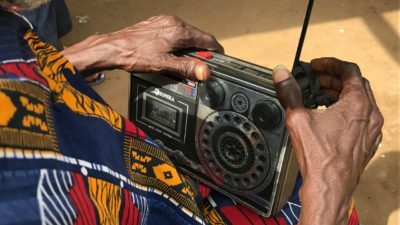 They extend their gratitude to the Metropolitan Museum of Art—especially Jessica Glasscock, Mellissa Huber, Nancy Chilton, and Mika Kiyono—for making copies of the exhibition catalog available to the forum contributors and for providing the exhibition photography that accompanies their essays.